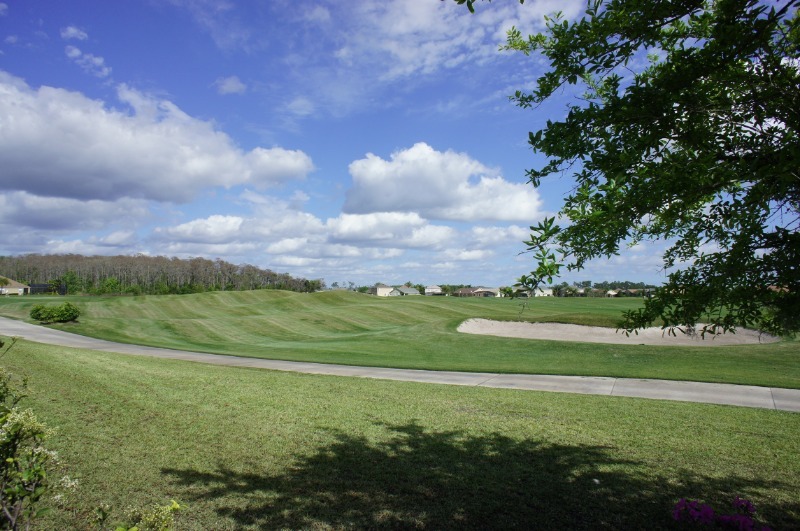 One of Orlando’s hottest and fastest growing areas is without a doubt Lake Nona! Eagle Creek is one of Lake Nona’s most beautiful new neighborhoods. 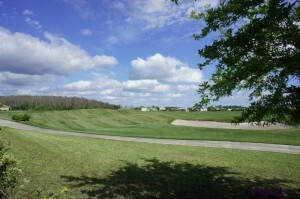 This desirable new guard gated golf community, designed by world-renowned golf course architects and built in harmony with nature, offers you the luxurious Florida lifestyle you deserve: a resort style community pool and club house, tennis courts, and lots of recreational parks, jogging, biking and even equestrian trails. 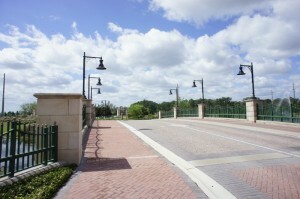 The impressive stone bridge at the community entrance and the New England Manor style clubhouse exude pure luxury! 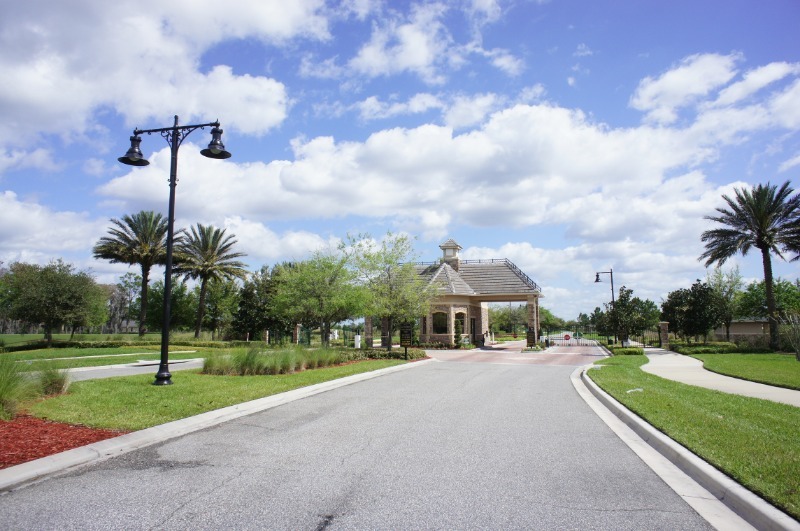 The Eagle Creek Village Center will be only a short walk or bike ride away from all neighborhoods within Eagle Creek and offer residents shopping, dining and a place to mingle and meet. We just listed a beautiful home in Eagle Creek so here is your chance to live in one of Lake Nona’s most desirable new home communities, located within walking distance from top rated Lake Nona High School and Middle School and with close access to 417, 528 and I-4. The International Airport is only a short drive away. Needless to say, Lake Nona is booming! “Medical City” has made Lake Nona one of Orlando’s fastest growing areas with more than 50,000 jobs being created within the next months alone! 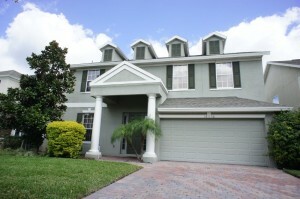 What better place to buy in Orlando? 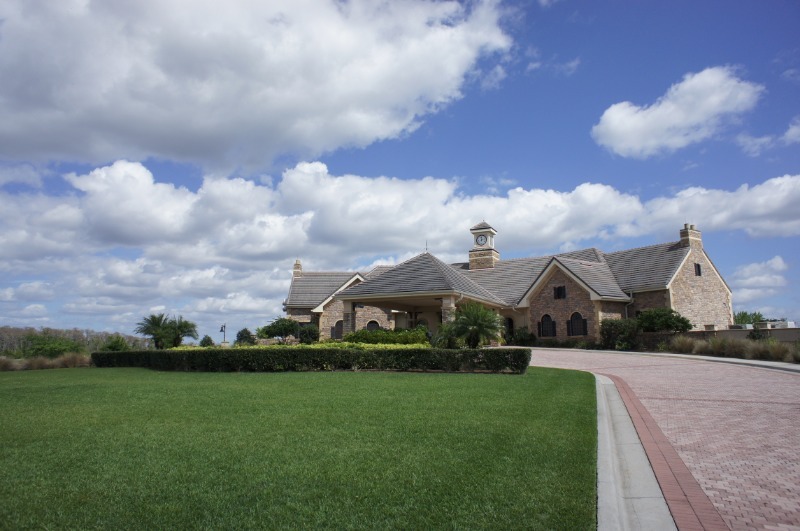 Here’s a bit more info about our listing – contact us anytime if you would like to see this home or any other home in Lake Nona! Starting with its outstanding curb appeal as you pull up in the pavered driveway, this like new 2-story home will impress you from the very first moment. As you enter the home you will step into the formal living and dining room. Throughout the first floor the tile has been upgraded with beautiful ornaments. 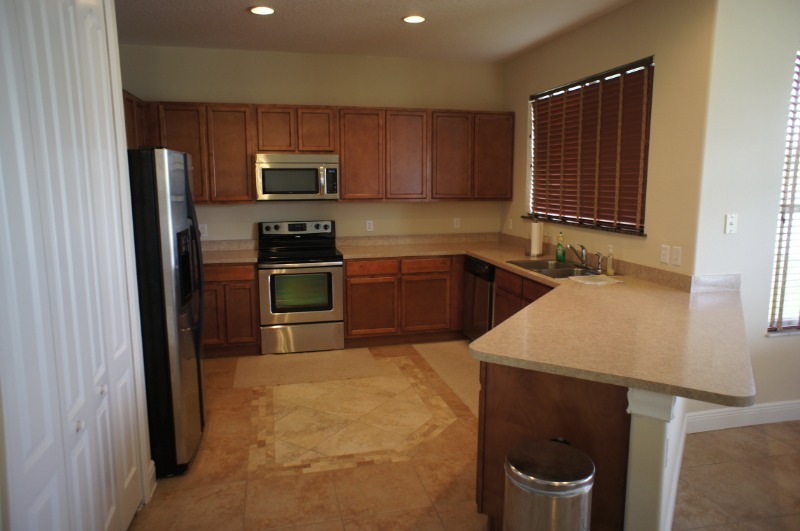 The kitchen featuring 42 inch cabinets and stainless steel appliances overlooks the spacious family room. This floor plan is perfect for entertaining as you can open the double sliding doors to extend your family room into the outside. The covered porch is the perfect starting point for a large screened in pool deck in the future. The staircase next to the kitchen leads to all bedrooms upstairs. 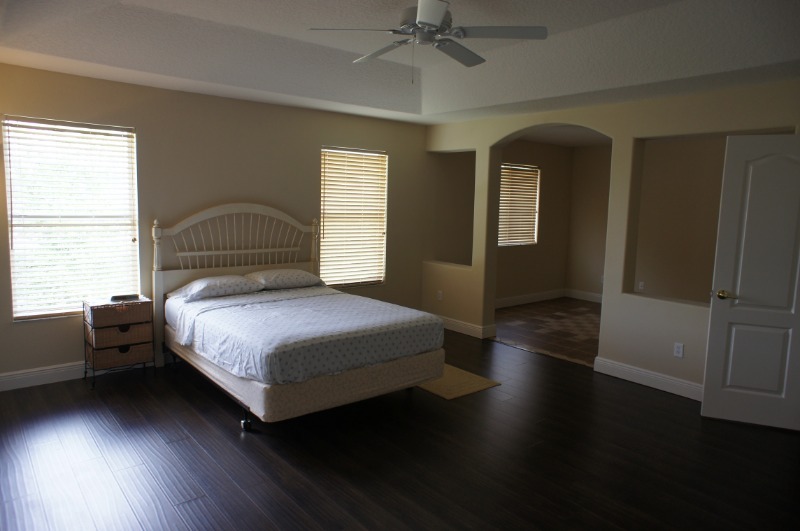 As you enter through French doors, the huge master suite greets you with beautiful wood floors and a special large seating area, great also as nursery. Attached to the owner’s retreat is the luxurious Master bath with his and her closets, his and her marble vanities, a large garden tub and glass enclosed shower stall. You will find 3 good-sized bedrooms, one of them upgraded with wood floors, and a large second bath with a marble double sink vanity upstairs.